Rewilding Europe is delighted to welcome four new members – one from Denmark, one from Lithuania, and two from the United Kingdom – to the European Rewilding Network (ERN). Displaying impressive growth since its launch at WILD10 in Salamanca in October 2013, the network now comprises 61 members from 26 European countries (including Rewilding Europe’s eight operational areas). The Restoring the Caledonian Forest project run by Trees for Life aims to restore large areas of forest through replanting and the prevention of grazing by deer. The ERN’s quartet of fresh faces are keen to share their expertise and look forward to connecting with and learning from other network members. Here is a little background information on each of these valuable projects. Lying on the northwestern edge of the Lake District National Park in Cumbria, the Ennerdale Valley boasts some of England’s most vibrant natural environments. It is also home to one of the longest running ecological restoration projects in the UK, with the Wild Ennerdale partnership allowing the landscape here to evolve naturally with decreasing human intervention. The Wild Ennerdale partnership is working to make the Ennerdale Valley wilder by relying more on natural processes to shape the local landscape and ecology. The 17-year-old partnership, one of the UK’s largest wild land partnerships, is a collaboration between people and organisations led by The National Trust, The Forestry Commission and United Utilities (as the primary land owners in the valley), and Natural England, the British government’s advisor on the environment. The aim of the partnership is to shift focus from piecemeal land ownership to a pioneering, one-valley, landscape-scale approach. An innovative way of upland management that blurs the boundaries between forestry and farming, the partnership is also a showcase for promoting natural river hydrology, with the River Liza, which flows through the valley, representing one of England’s most naturally dynamic river systems. 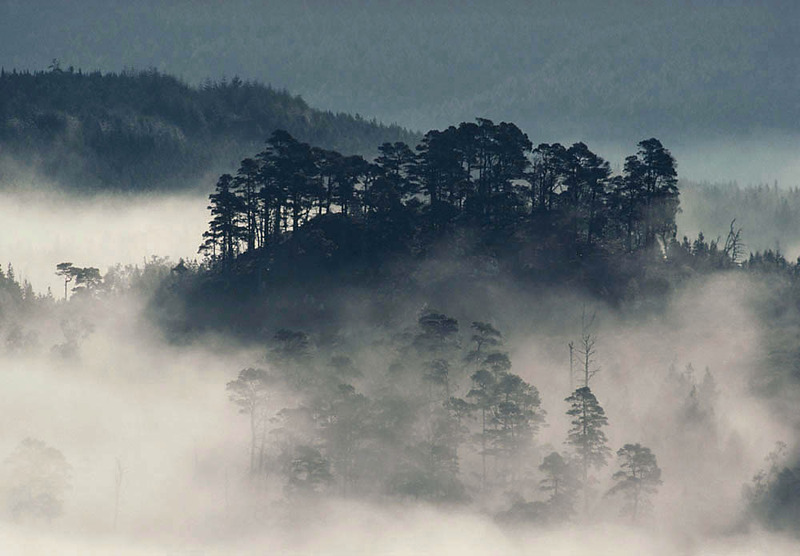 Characterised by large swathes of Scots pine – as well as aspen, willow and birch – the Caledonian forest is a unique habitat that supports internationally significant species. The Caledonian Forest is recognised as a unique Scottish habitat. Characterised by stands of Scots pine, it includes a diverse range of other trees, including aspen and high altitude willow and birch. The forest supports a population of flora and fauna that is of global significance. The Trees for Life project is currently engaged in restoring the forest at a landscape scale. This is being done by excluding browsing deer to allow natural regeneration, and by planting trees where natural regeneration is not possible. Since the project began over 1.5 million trees have been planted, while large areas of Glen Affric and Dundreggan have been restored through natural regeneration, largely by using fencing to temporarily prevent grazing. Fencing deer out of areas on the periphery of existing remnants of forest allows seedlings to grow naturally to maturity. This is the simplest and best method of regenerating the forest, as it involves the minimum of intervention and allows nature to do most of the work. Once the forest has regenerated, deer populations can be allowed access once again. As in other areas where rewilding is taking place, they will then start to boost local biodiversity through their grazing. Red squirrels have also been translocated from population strongholds to areas they cannot colonise naturally, helping to secure the future of this iconic forest species in Scotland. 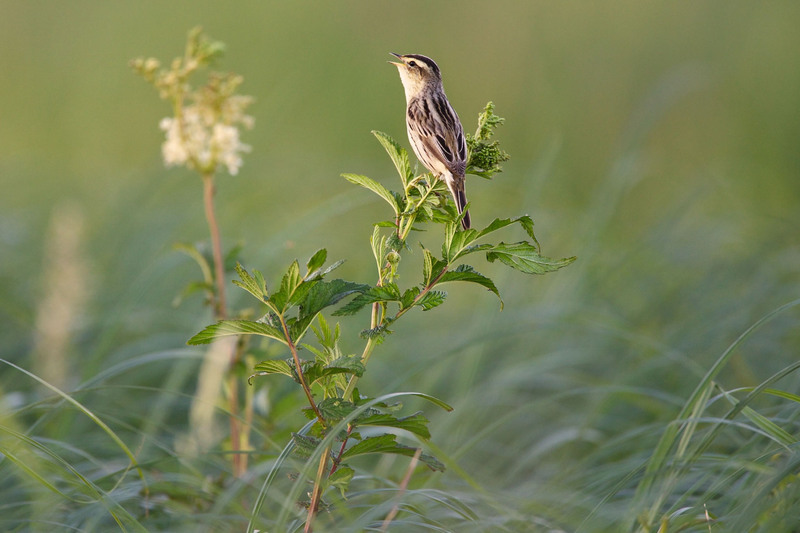 Lithuania’s Nemunas Delta is one of the most important breeding sites for the rare aquatic warbler. The Nemunas Delta region, which is still intensively farmed, is famous for its diverse and abundant birdlife. Ensuring that management activities are adjusted to natural processes is a key factor in keeping the area as wild as it can be. In areas which are farmed the Nemunas Delta project works closely with local residents to encourage environmentally friendly practices that are closer to natural ecosystem dynamics (such as mowing and natural water level control). Extensive communication is carried out with farmers to increase their pride, common ownership and responsibility for wild nature. At a more specific level, the project is working to increase the local aquatic warbler population and develop nature-based tourism. 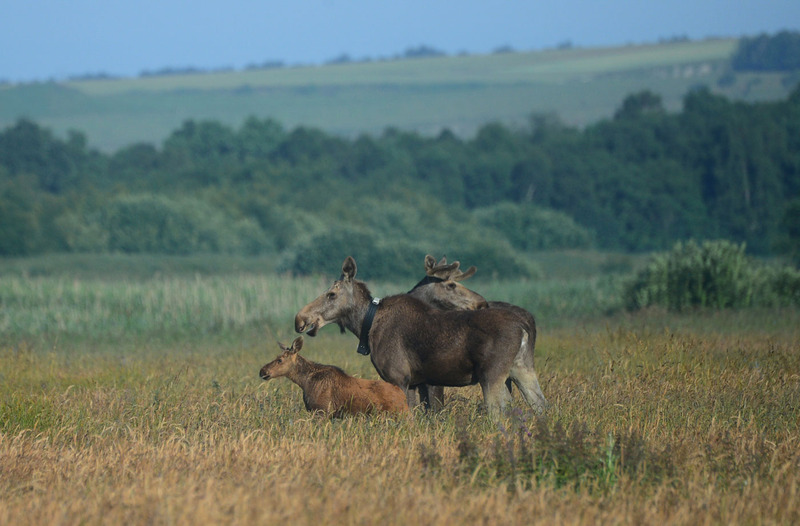 Moose, moose-bull and a young moose-calf in Lille Vildmose. The Aalborg municipality, Aage V. Jensens Nature Foundation and Danish Nature Agency are currently overseeing a large rewilding project in Lille Vildmose in northern Denmark. “Lille Vildmose”, meaning “little wild bog on the heath”, is the largest remaining raised bog in Northern Europe and Denmark’s most extensive protected region. The aim of the project is to rehabilitate the raised bog here to its natural state and boost local biodiversity by restoring natural hydrology and reintroducing moose and red deer. Until 2007, before the project began, the bog had been drained and the site used for sphagnum extraction and agriculture. While restoration of the bog is a slow process (it will take centuries before it is brought back into natural balance), various activities carried out now can create favourable conditions for the natural restoration process to take effect. 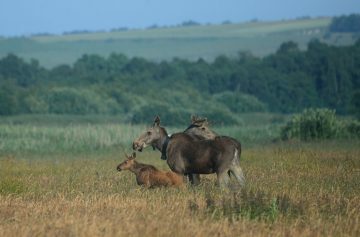 In November 2015, after being absent from Denmark for millennia, five moose calves arrived in Lille Vildmose. These have now successfully bred and two more calves have been added to the herd. The moose were reintroduced to help maintain the bog, in conjunction with the area’s red deer. As natural tree trimmers, the effect of the moose on the bog’s birch trees is already evident. Rewilding Europe is part of a burgeoning pan-European rewilding movement which has seen many impressive and inspiring initiatives develop over recent years. With rewilding-related projects continuing to multiply and flourish across the continent, the objective of the European Rewilding Network (ERN) is to connect, support and strengthen them. It is therefore hugely gratifying to witness its continued expansion. The ERN operates on a stronger together philosophy, promoting rewilding as a conservation approach. Members meet regularly – usually via online based seminars and the recently launched ERN Forum – to share knowledge, insight and examples of best practice. Most members are currently working on the large-scale rehabilitation of natural processes in different habitats such as rivers, forests and mosaic landscapes, the development of nature-based enterprises, and the reintroduction of locally extinct or endangered key wildlife species. Rewilding Europe extends a warm welcome to all rewilding initiatives and encourages them to apply for membership of the ERN.